LAVELLETE, N.J. (WPVI) -- It wasn't what Nick Honachefsky was expecting to catch on the shores of Lavellete, Ocean County, but it's making waves across the internet. 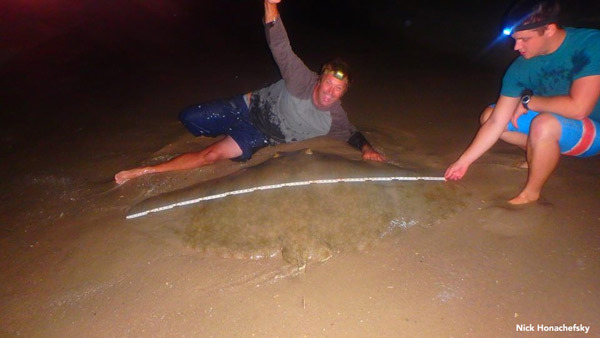 On Sunday night, Honachefsky and his friends found a butterfly ray. The Villanova University graduate described the ray as 6-feet wide and approximately 150 pounds. "These massive creatures are gentle giants with a tiny tail," Honachefsky said. Honachefsky said the ray was sent right back into the water after the hook was removed.